Solar cable 2X4mm² copper sold by meter. This cable is composed of 2 cables glued together (Twin). Twin solar cable 2X4mm² copper. More expensive by the meter than 2 pieces of 1X4mm² but easier to put in place. 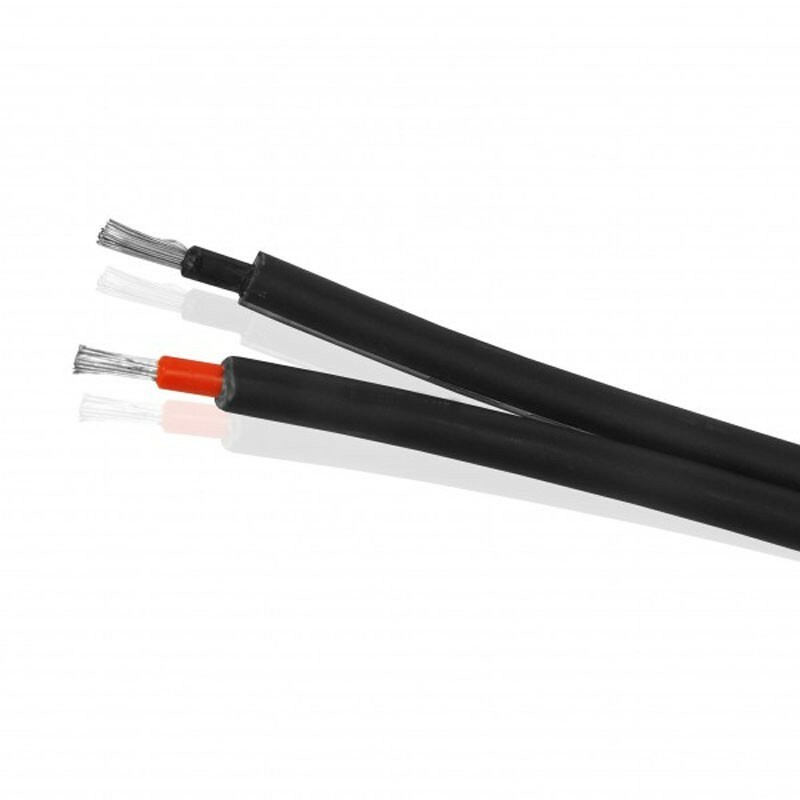 Thanks to the double sheath, these cables are easy to strip and extremely resistant to UV, heat, cold and bad weather both indoors and outdoors.